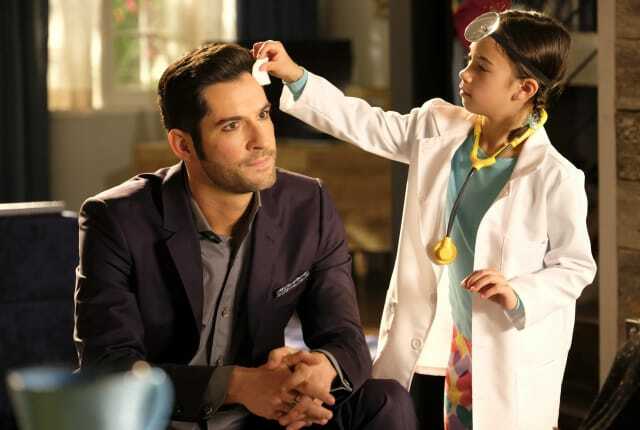 Watch Lucifer Season 2 Episode 18 online via TV Fanatic with over 1 options to watch the Lucifer S2E18 full episode. Affiliates with free and paid streaming include Amazon. On Lucifer Season 2 Episode 18, after Charlotte accidentally charbroils a man to death in self-defense, Lucifer must try and keep Chloe from figuring out the truth. Lucifer puts Maze in charge of finding Charlotte and Amenadiel, who have both gone missing in light of recent circumstances, while he finds a permanent solution for the ticking-time-bomb he calls Mom.